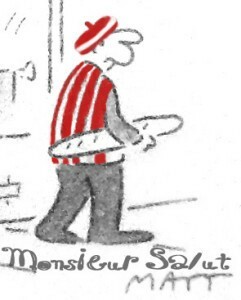 Monsieur Salut wondered whether to drop the diving question from the coming season’s Who are You? interviews. Arise Sir Zlatan. Well, arise from the ground once your early-season spot of cheating is over and one with. Tell me convincingly Ibrahimovic was truly fouled, didn’t dive, “was entitled to go down”, “isn’t that kind of lad” and I’ll reconsider my decision that the question stays. Ibrahimovic had already scored in PSG’s first Ligue 1 game of the season against Reims when, after 19 minutes, he fooled the referee with this outrageous tumble. He missed the penalty, I am delighted to say, and PSG could do no better than draw 2-2 with modest opposition but I bet that doesn’t stop him cheating again as the season wears on. After Stoke horror show, which seven Sunderland players get 3/10?